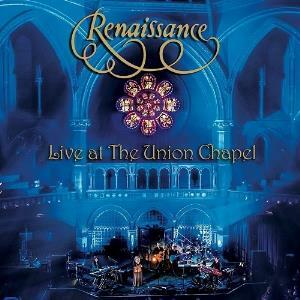 Renaissance has a surprisingly rich treasure trove of live recordings, especially so for a second tier band. Are there some superfluous releases in this humongous catalogue of concert performances? Perhaps, but Live At the Union Chapel is surely not one of them. What follows is a review of the DVD and not the audio only CD. What makes this DVD special is, aside from all other things, it is one of only two colour DVDs of Renaissance mk ii and the third yet overall. The only DVD representing the 70s classic line up - you know which one - is Song of Scheherazade and that much maligned black and white release is no competition. The main competition then is with the Turn of the Cards/Scheherazade and other Stories DVD from 2011. Yeppers, if you didn't know about that one and don't have it yet in your collection, you should because it has both albums performed in their entirety with a little bonus. On the face of it then, this DVD, taken from their concert at aforesaid venue in London, is up against the odds when compared with Cards/Scheherazade. But, leaving aside this obvious disadvantage, Renaissance score over the 2011 DVD on two counts. One, the video footage is much better shot here (though I'll leave providing the technical justification for that comment to somebody else!) and the audio too is stunning. The audio is available in two modes - stereo and surround sound. The surround sound set up is incredible. Listening to Annie Haslam's voice on surround can almost lull you into believing it's the 70s. Two, the concert features three tracks from Grandine Il Vento/Symphony of Light. That would perhaps be regarded as a problem by some but, as somebody who is no great fan of that album, I must say these three tracks really come alive in the concert setting. I had already enjoyed Mystic and the Muse on the 2011 DVD and now enjoy Symphony of Light as well as Grandine Il Vento a lot more on the DVD compared to the studio versions. The energy and emotion that was perhaps a touch subdued in the studio recordings really flows in the concert performances and makes them a lot more engaging. I have minor quibbles here and there of the band's playing (like the way Mark Lambert performs the opening guitar riff of Northern Lights...just compare it to the way Dunford played it and you'll see my point) but overall they are splendid. Annie Haslam continues to amaze, as ever. It's not that her instrument is completely untouched by the demands of touring for so many years and a purely vocal acrobatics-oriented track like Prologue spotlights what's changed. But on the other tracks (which have lyrics) her phrasing seems to have gotten even better as compared in 2011 (which was already - dare I say it - better than the 70s). As I mentioned earlier, the surround sound set up adds that little bit of 'beef' to her voice which was missing in the 2011 recording, closing the gap even more on the 70s. These are nitpicky considerations of a long time fan (or not so long time by Ren fan standards! ); suffice it to say that those who are less demanding will have nary a complaint of any hue to make. Time for the rating, then. From a Renaissance fan perspective, this is five star material. I am not comparing this with DVDs of other bands and wouldn't advise a casual listener (of Renaissance) to start here. But if you already like this band, then this is a must have for sure.